I had so much fun decorating Jack's nursery. Since we didn't find out the gender, I stuck to a pretty gender neutral theme. We had the "Hello" sign up for months and we were patiently waiting for the birth to complete the name on the wall. Steven & I worked together to complete this room and it's one of my most treasured moments during my pregnancy. 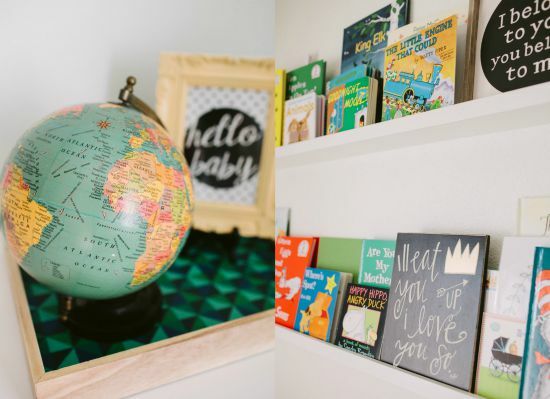 We would spend so much time in there dreaming of our new baby's arrival. Oh wow! This is really neat! 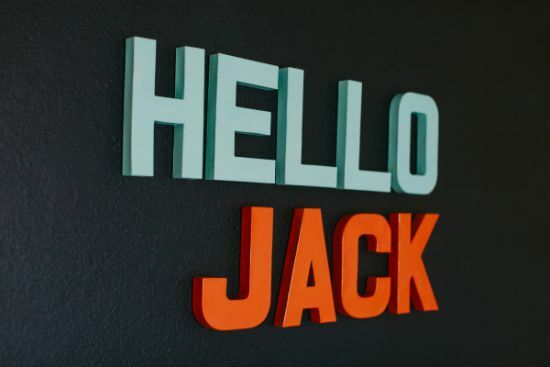 I love the Hello Jack! what a cute idea and now I want to copy you! Thanks so much Alyssa! It's such an easy, but super cute additional detail! So glad you joined Blogging Tribe and the Arizona Blogger Meet-up Group!! 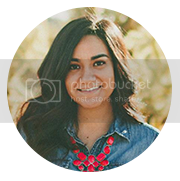 I live in Chandler and have a 4.5 month old boy named Taylor so it's fun to read your blog. Hopefully you'll be able to make it to the next blogger meet-up we have! I love it. Beautiful nursery. I love the colors you used. 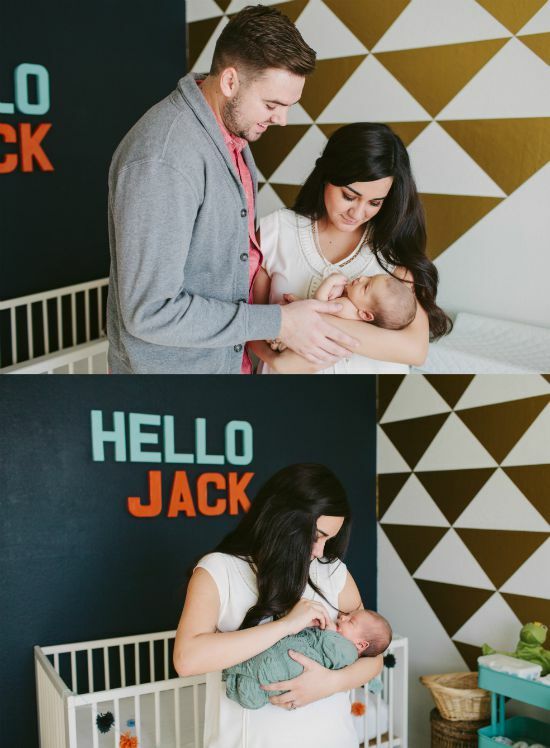 Awe, baby Jack's room is so cute! I love the feature wall design. You have a lovely family. 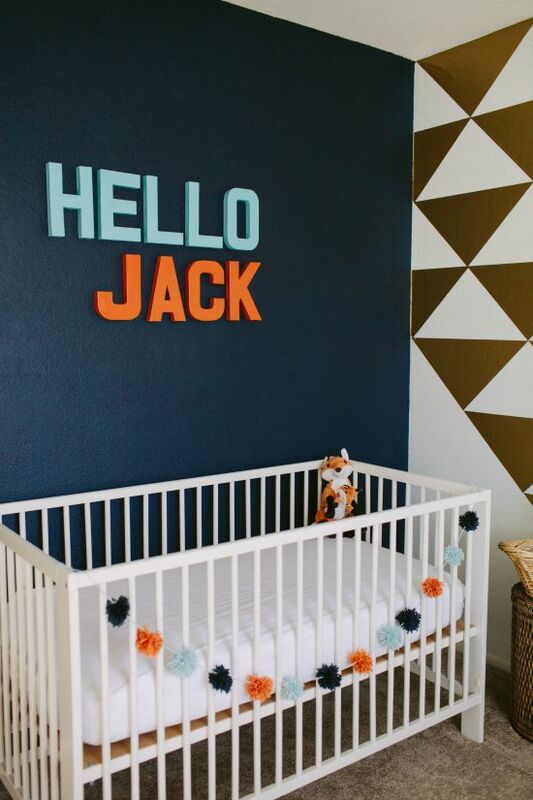 You did a fabulous job on Jack's nursery! I love the choice of colors, and that the design can definitely grow with him. Awesome! congrats! 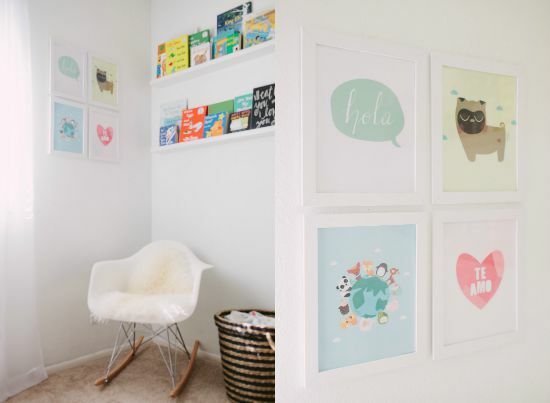 and such a beautiful nursery! love the colors! Seriously, this is so cute. I love the colors and the gold geometrical design. You did an amazing job.